Free Practice: In the free practice sessions the Kaufmann drivers showed a good performance. Schothorst P 8, Malja P 11 and Tunjo due to traffic on his new tyre run on P 19. Qualifying 1: In Group A it was Tunjo on P 3 and Malja on P 9. Schothorst in Group B was struggleing on P 12. Grid for Race 1: Tunjo P 6, Malja P 18, Schothorst P 21. Race 1: Race 1 we saw Tunjo with a brilliant start upto P 4 already untill another driver pushed him very unfair off the track and Tunjo dropped to P 16. 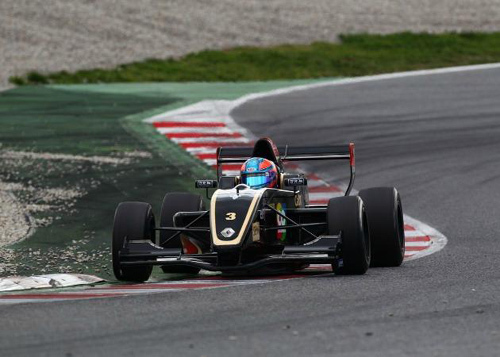 In the race Tunjo showed a strong performance and moved up to P 8 in the end. Malja finished P 13 and Schothorst P 15. Qualifying 2: Malja and Tunjo first on track in Group B took P 8 and P 5. Schothorst in his Group on P 10. Grid for Race 2: Tunjo P 9, Malja P 15, Schothorst P 20. Race 2: Tunjo drove a good race and finished like the day before on P 8. Malja had contact in the hairpin and had to make a pit stop. P 22 in the end. Schothorst moved up to P 12 in the end.